Sophie Gonthier has been on fire since focusing her efforts on Catherin, a side-project that finds her straying from the pop sentiments of Anything Maria and instead truly honing her DJ chops. In addition to her Exclusive Mixtape for YouList Music Blog, Catherin’s first official single was released July 10th on Paris’ Magie Noire Records. Spellbound is a dark, entrancing homage to the techno and house scenes, and is accompanied by an equally hypnotic video. The video, directed by Patrick Laffont, features a haunting film montage projected onto a writhing torso, further adding to the tantalizing sound that Catherin is quickly becoming known for. Catherin’s remix of Brenn & César’s “Gran Rivie” is featured on the Space Ibiza 2015 compilation album, and has since become the #1 most-downloaded track on iTunes. 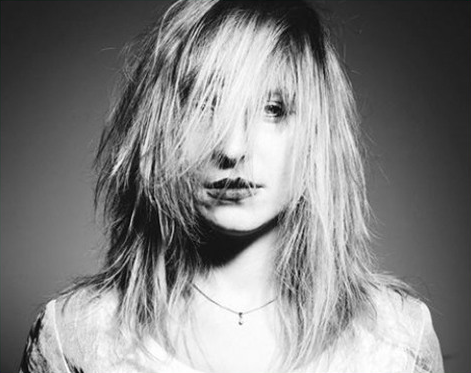 In support of her debut release, Catherin played sets at renowned Paris clubs Wanderlust and Les Bains Douche, as well as Berlin’s exclusive Soho House. Book Catherin for live shows and live PAs worldwide HERE.